St. Columba's has a rich history rooted in Scottish tradition. The church in Priory Street was built for the Presbyterians in 1879. Their congregation had been established in 1873 when they worshipped in a hall in Goodramgate. When originally built, the church in Priory Street had a tall tower at the south eastern corner which was visible over the City wall in the Scarcroft area. However, after the Second World War this was found to be unsafe and was taken down in about 1950. 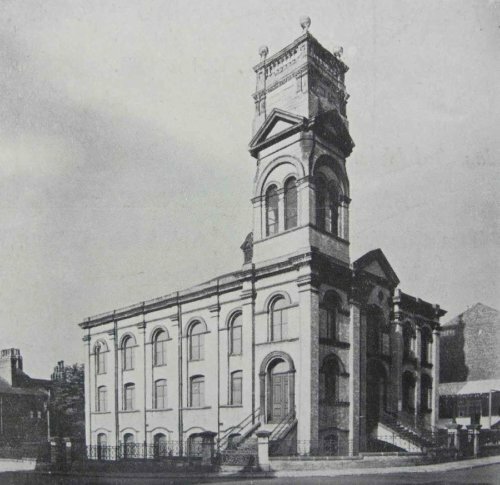 There is a photograph showing the church as it was before 1950 - in addition to the tower there was a pediment in the middle of the parapet facing Priory Street, and a cupola (just visible in the photograph) in the centre of the roof [click here to view the photo]. In 1972, St. Columba's became part of the United Reformed Church, as did the New Lendal Congregational Church in Burton Stone Lane, Clifton. These two local churches were united in 1994 on the Priory Street site, leading to the church's present title. After the sale of the New Lendal building, a much needed passenger lift was installed, giving easy access for disabled and elderly people to all floors of the building. To mark the centenary of the establishment of the Presbyterian congregation, Mr. F.H. Legg [a teacher at Bootham School, and a member of the church] wrote a history of the church from 1873-1973. You can read that history by clicking here. A detailed history of the Congregational cause in York from 1749 is also available by clicking here.